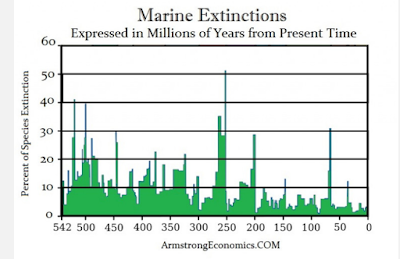 The elephant in the room is the death of the Pacific Ocean. See below video on every nuclear bomb test conducted, in the midst of that insanity, it became common knowledge that nuclear tests were killing the ocean. So much so, that the insanity was brought to a halt. A correspondent on the east coast of Australia, north of Brisbane, has responded to my earlier forward of the ADN story about Alaska’s disappearing king salmon. He reminds readers that vested interests play a role in suppressing science findings. If the mid-ocean damage is indeed severe, is it unreasonable to assume an embargo on full disclosure guides the media narrative of Fukushima’s effects on the biosphere? With holding data; not permitting interviews; low-balling estimates; stalling publication of research follows a repetitive pattern of protecting the nuclear power industry over the universal needs of a healthy and productive biosphere. Now, protection measures have apparently gone to extremes. The following clip, though lacking full attribution, warrants your attention. “...in talking with authoritative figures in Vancouver, they apparently believe that the figure [food chain collapse] is likely closer to 1000. My friend also explained […] all these research departments are finding […] huge numbers of general body mutations, as well as skin disorders which all cannot yet be accounted for in terms of causation. "As bad as all of this sounds, here is the real rub. Regarding these findings about food chain collapses, mutations, and injuries, my friend’s university has instituted a policy that forbids them from publishing their findings, from discussing their findings (on this subject) publicly or in private with other researchers outside their own campus, or finally from taking “unauthorized” radiation readings as part of their research. The penalties for violating these new rules are severe: loss of tenure, civil lawsuits for violation of contract, and potentially employment termination. He showed me a memo on the subject from her own university, so there is no doubt about that in my mind…"
you missed x3 - the ones the nazis used on the russia front. I have a vision of a cartoon, a guy is at the beach sitting behind a desk, working a laptop analyzing data as dead species roll up on shore. 'There's the Rub', manipulation of data and fear of economic collapse tied to accountability. The ocean is robust to trace amounts of ionizing radiation. Calculate the source term from Fukushima, compare it to the natural source term of the ocean. Account for spontaneous fission in natural uranium in the ocean. It's the same physics. Lucey! hey you gots the fancy softwares, please go ahead and do so, give me a steady state end result after a "long time" say 20,000,000 years ought to be good enough for government work.